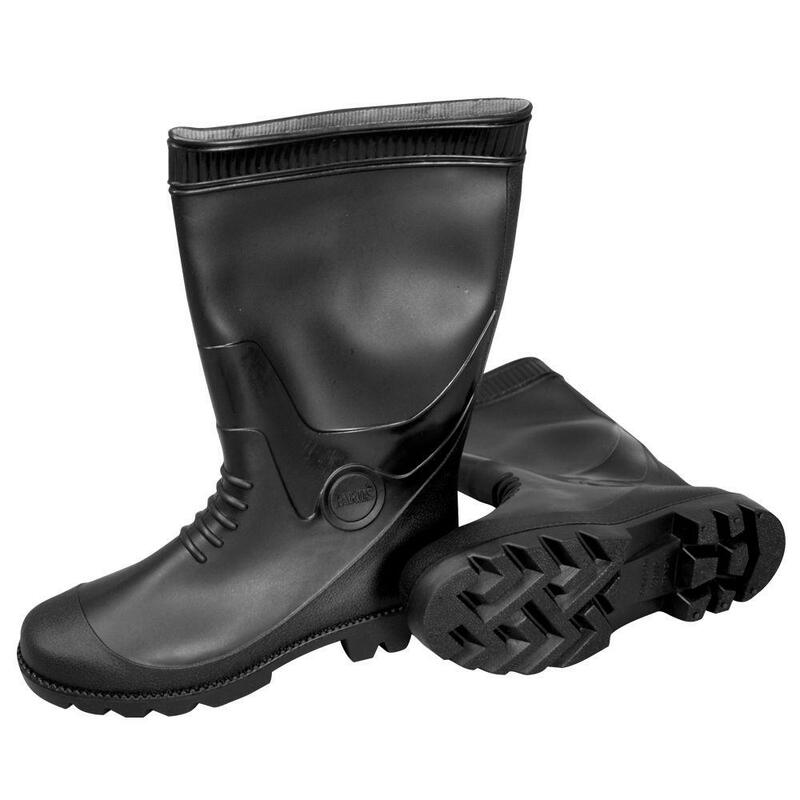 The all-purpose MAT PVC Black Boots (Size 9) are specifically designed for concrete construction, agricultural, food processing venues and more. These 100% waterproof boots have seamless construction. 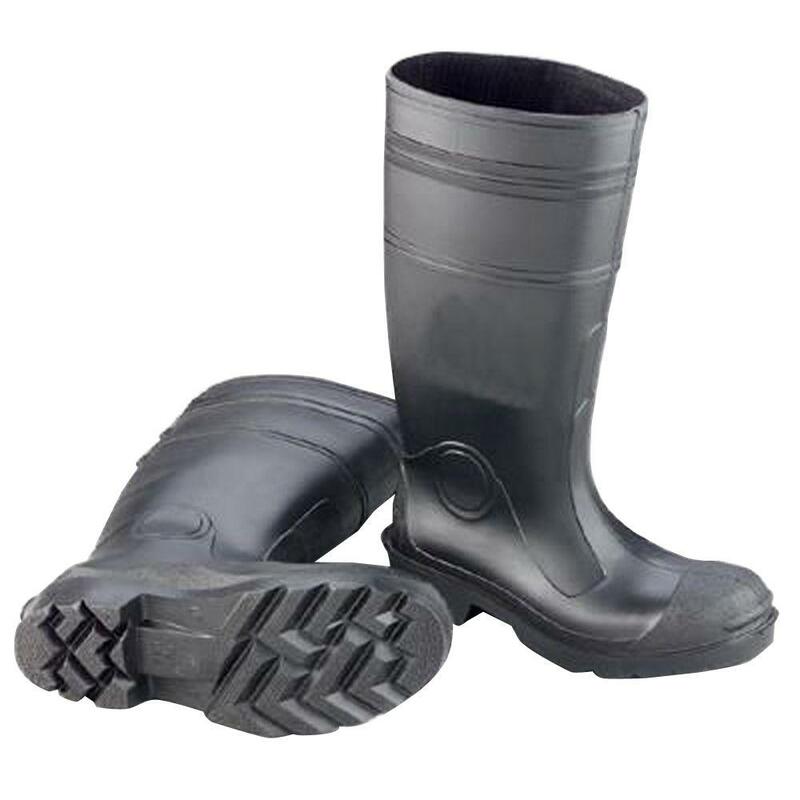 Enguard plain toe PVC boots the durable and economical boots perfect for every construction and water mess. Enguard plain toe boots will keep your feet dry, clean and safe. 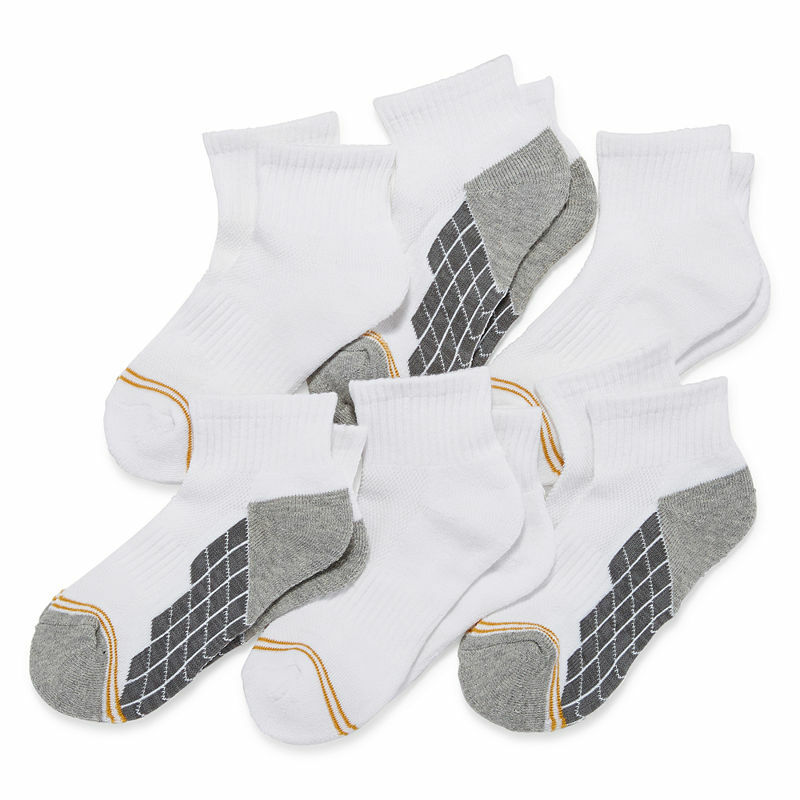 Suitable for every working man with flexible upper material stays supple in cold temperatures to make walking easier. Size: 11. Color: Black. Gender: Male. Age Group: Adult. When you need a bed in an instant, the Second Avenue Collection Classic Twin air mattress is perfect solution. No longer will your guests need to sleep on your sofa or the floor. Spend more time relaxing or sleeping and less time setting up. 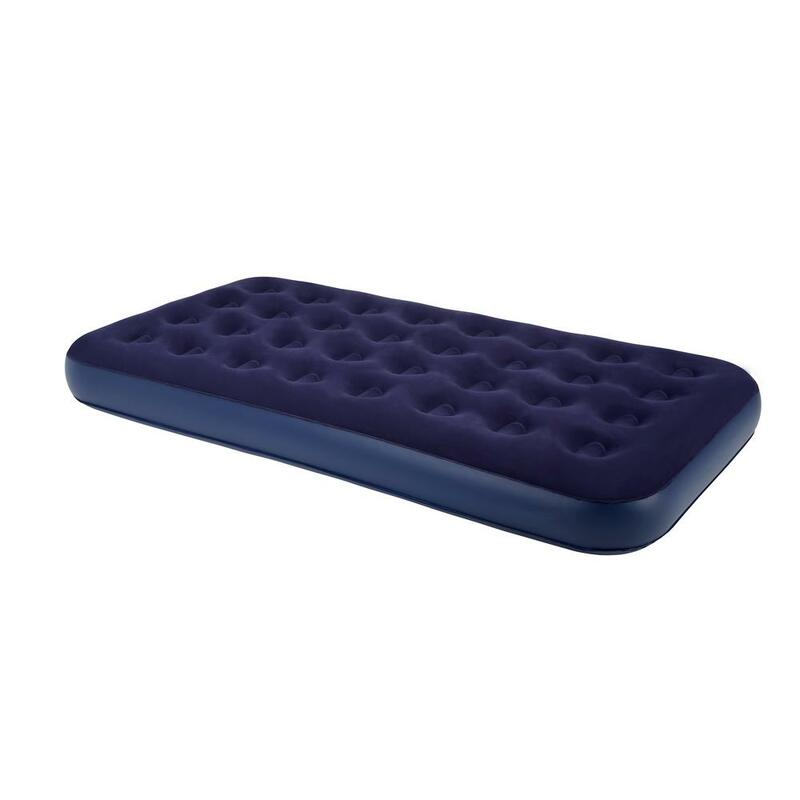 This extra soft yet durable air bed provides a uniform and comfortable sleeping surface. It is designed with a plush rayon-flocked top to create a luxurious sleeping surface and to help keep bedding from slipping. The flocked sleeping surface is stain-resistant, waterproof and easy-to-clean with mild soap and a damp cloth. Its wave beam and sturdy, heavy-gauge vinyl PVC construction will help your air bed last for years. 20 in. 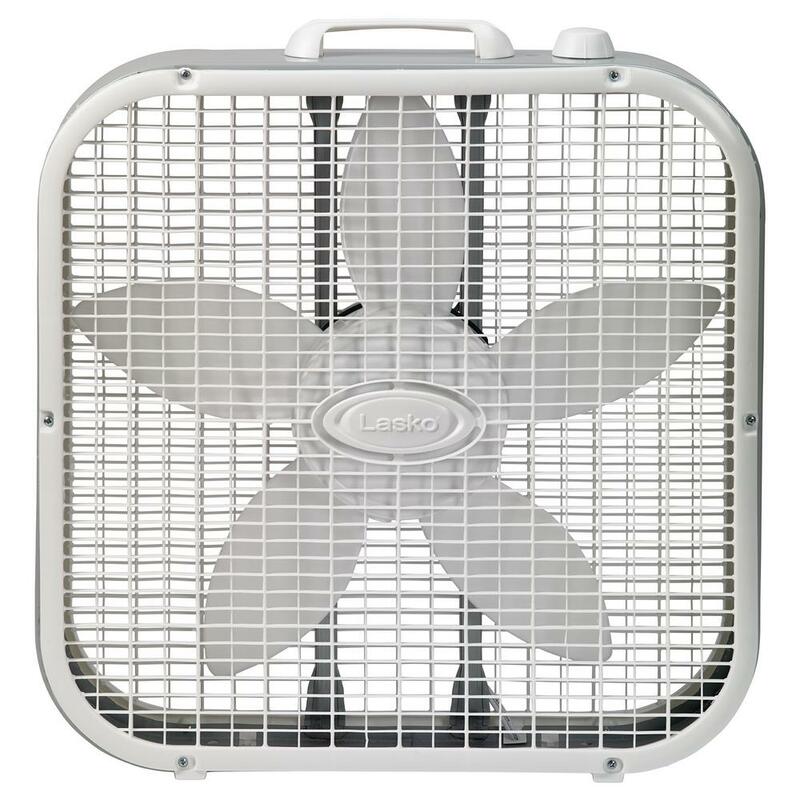 3-Speed Box Fan combines the cooling power of 3 fan speeds with the wide-area air flow of 2,500 CFM air circulation and a 20 in. fan diameter, all in a compact, lightweight, energy-efficient design. The 6 ft. cord and slip-resistant feet allow flexible placement without fan slippage and the built-in carry handle makes it easy to transport the fan between rooms. The plastic material provides reliable strength and durability. Color: White. 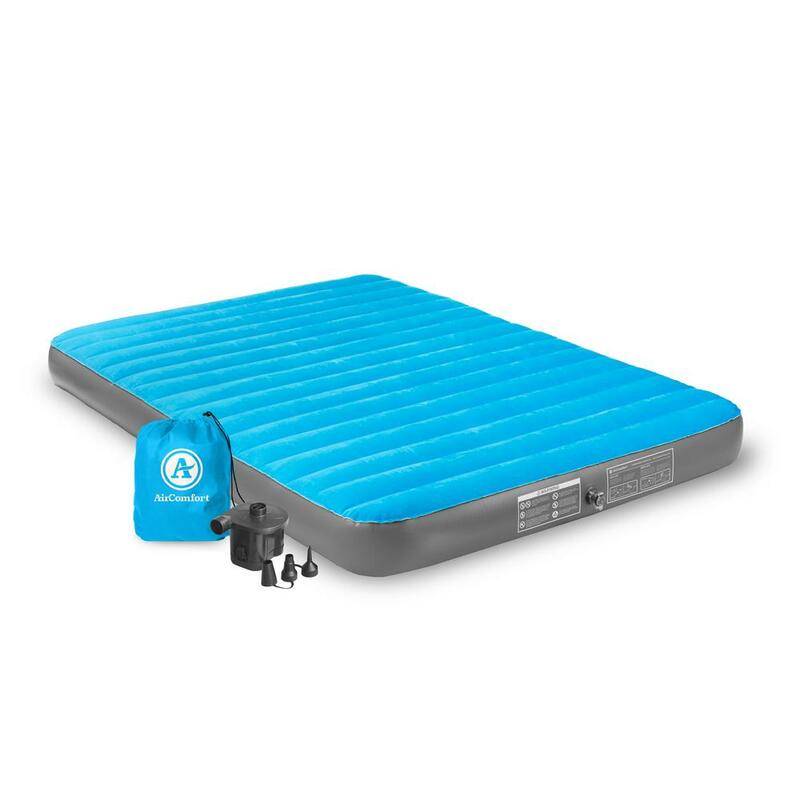 The Air Comfort Camp Mate Queen Air Mattress is designed for camping and outdoor use. It provides the snugness of a traditional mattress with the flexibility of an air bed. Queen sized, this mattress inflates in less than 4 minutes with a powerful, battery powered pump, enabling simple inflation and deflation without the need for an electric outlet. You just turn the pump on to inflate and off when you have reached your desired firmness. When you are ready to pack up camp, just open the valve to release the air, roll it up and store in the included carry bag. 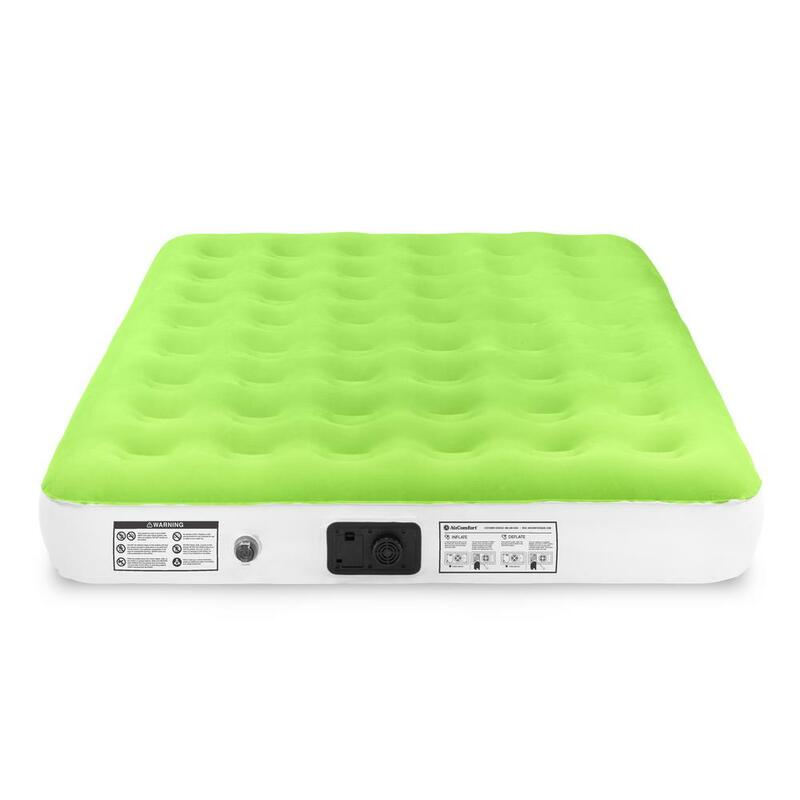 The Camp Mate air mattress is constructed with L-Beam Technology that provides maximum comfort on uneven ground, providing maximum restfulness throughout the night. The Extra thick, waterproof flocked top and PVC sides are designed with added durability against normal wear and the outdoor elements. The Camp Mate series comes with a soft flocked top that holds your sheets securely. This versatile queen air bed makes it easy for you to sleep comfortably at your favorite camp grounds at any time. Sleep well and Dream Big.